Green Mountain Troutfitters: What A Season So Far! What A Season So Far! Sorry for the long hiatus from posts, but it's been one heck of a ride this season so far and I'm finally sitting down with a moment to breath. We had a very successful string of GMFFC youth camps this season once again and I'd like to give huge props to the counselors for putting in long hours to assure the kids had the time of their lives with fly rods in hand! At GMFFC, we have a very high return camper rate and thus camps fill up early! If you'd like to inquire about sending your child to GMFFC inn 2016, drop us an email. There has been no shortage of water for the most part this season, but the past couple weeks have been pretty dry aside from some crazy isolated storms that rolled through this week. Small windows of trout fishing opportunities on the larger rivers with the cooler evening temps we had the past couple nights, but next week we have more hot weather in store which will bring water temps back up, so look to brookies or bass for the most best, most ethical options. Apologies for missing a few weeks of "Tuesday Tying Videos." We've been having some techy problems with the computer we use for editing. We hope to be back up and running asap! If you'd like to assist with editing our videos, please get in touch! Now that we have a little time, we'll be adding more and more of our fly inventory to the web store here. I just added 4 color options of the Stanley's Hopper, so get'em while they're "hop"! Because we had so much early season rain which kept our larger rivers mostly unfishable for long stretches, I'd expect better than average fishing this month on the main stem rivers. We're in an extremely low-flow period currently, so we could really use some widespread rain to fluff up the system, especially since we have a week of hot weather ahead. 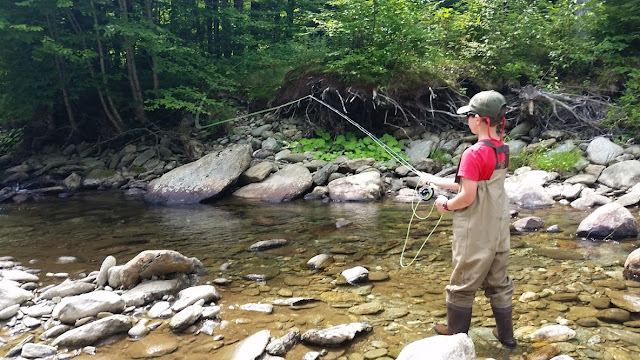 We've been doing a lot of brook trout fishing lately and the reality is that all it takes is the right approach to be successful with the small stream brookies. Small stream fishing is about 98% approach/setup and 2% casting/presentation. 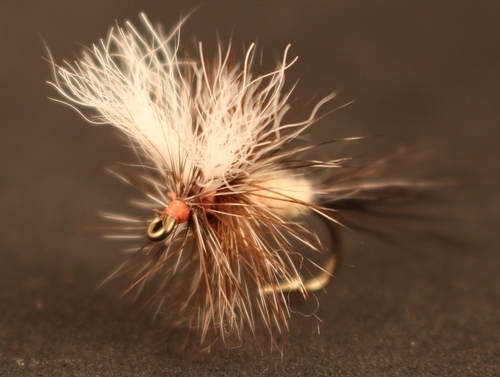 Fly choice really plays a small role in being successful catching small stream brookies. Just set yourself up so you can get off a cast without spooking the fish and/or putting the fly in a tree and the rest is easy. Terrestrial imitations like Stanley's Hopper and Wulff-stlye patterns like Kashner's Ausable Wulff will definitely get the job done and we have plenty in stock here at GMT. 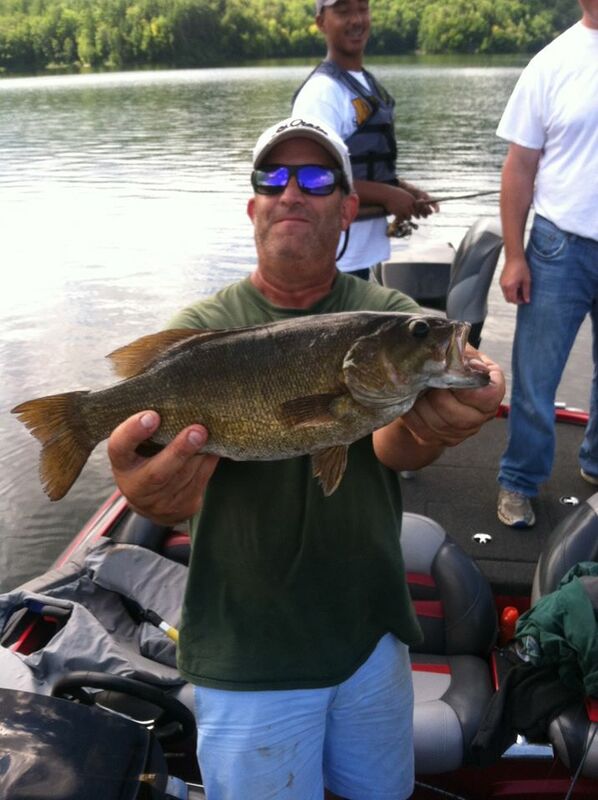 Matt at Bass Fishing Vermont has been absolutely crushing the bass this season on the inland lakes and reservoirs! Matt is a true master of his craft that has the bass game so dialed in. If you are looking to improve your conventional skills or just plain want to catch fish, I strongly recommend going out with Matt. Fish with Mr. Bass himself! I can't believe it, but it won't be long until migrations of salmon, steelhead and brown trout start getting underway in the Great Lakes. Latest reports from the lake charters are that the fish are pushing closer and closer to the tributaries. Some cooler weather and rain is really what they need for a trigger to get moving into the rivers. Personally, I avoid the Salmon River salmon run like the plague, but there are plenty of folks that don't mind standing shoulder to shoulder. If you have plans or aspirations to get your feet wet in the Great Lakes, stop by or drop us a line and we'll set you up with everything you need to know to be successful!